I ♥ Motherhood: A Day Out with Thomas - Brilliant Family Fun! 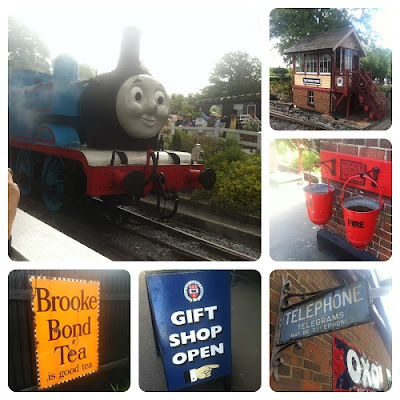 Yesterday we went on 'A Day Out with Thomas' at the Kent and East Sussex Railway. Noah is a fan of Thomas and I thought that this would be perfect for him and I also admit I was excited about the day too. 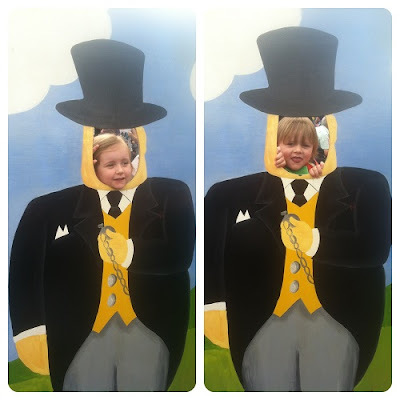 I love giving the kids a thoroughly fun day out and I can hand on my heart say this was one family day to remember! I had booked us on the first steam train ride of the day at 10.25am which meant us leaving the house at 8.30am (nice early start!) so we were there for the half an hour before departure that the ticket suggested. 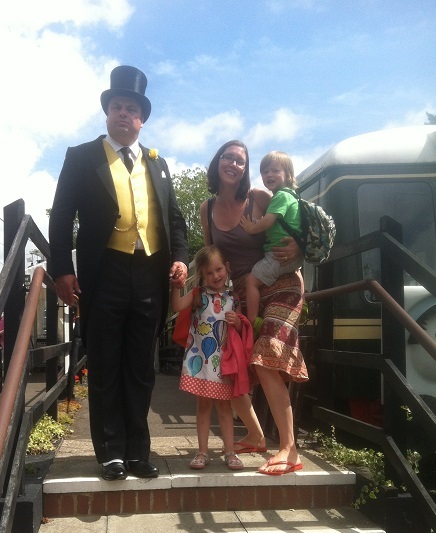 On arrival we saw The Fat Controller and also Charlie the Clown entertaining the crowd prior to getting on the train. 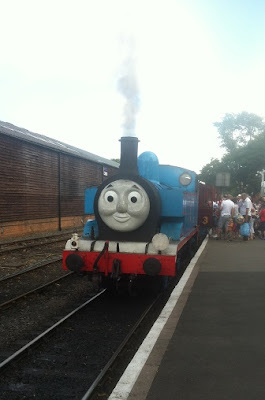 Thomas wheeshed into Tenterden Station, and it felt really magical. I’m a bit soft since becoming a mum and I actually felt a bit emotional – good grief! The kid’s faces lit up and then we hurried to the platform to get a better look at him. 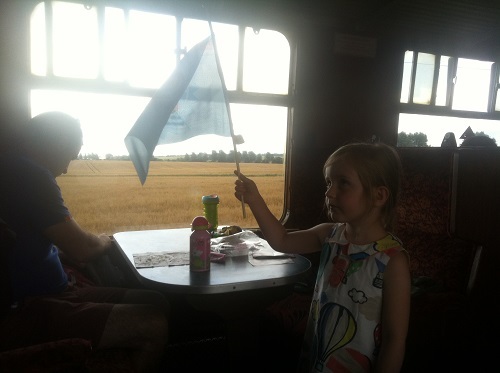 Thomas wasn’t actually taking us on our steam engine journey, that was down to another train and at 10.25 we set off on our travels, which took us along the line 10 and a half miles to Northiam Station. It felt like going back in time. The carriages were old and quaint and I loved the feeling of a bygone era that I got. I checked on the KESR website and the railway and station have been used in TV and film, which is no surprise. We took picnic food with us, so we munched on some muffins and took advantage of the buffet cart that came around for a cuppa. We bought Isla and Noah a flag each at £1.50 a go. They enjoyed waving to the people waiting in their cars at level crossings, the people at the platforms we went past and spotting the cows and other such countryside animals. The train goes to Northiam, stops for a bit and then makes its way back to Tenterden. 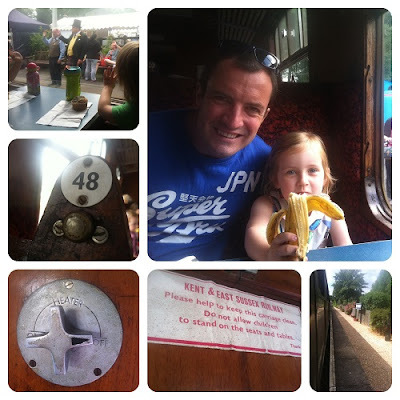 Once we got back to Tenterden we enjoyed all the other things that were included in the ticket price. They both had unlimited goes on the bouncy castle and the merry-go-round. Isla loved the Punch and Judy and children’s entertainer, especially when he performed the magic trick making a rabbit appear in a box. She was a fully participating audience member shouting out and getting involved. We also got our photo taken with The Fat Controller who was on hand all day looking super important in his top hat and tails! 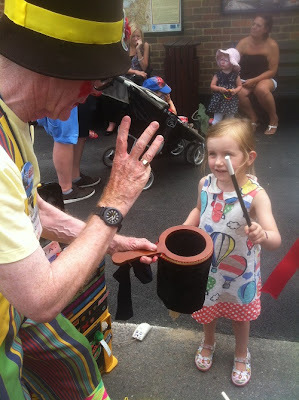 Charlie the Clown stopped us at one point and got Isla to perform some magic which she loved and he aimed a few jibes at Mummy and Daddy which made her laugh too. Thomas did do some rides during the afternoon but we missed out on these. On site you can buy food which is reasonably priced and there are picnic benches to sit and eat at. We found the little grassy play area where there was a wooden train that all the kids were playing on and sat there to eat our lunch. As the area was quite small it made a nice change for us grown-ups to be able to sit down and eat lunch and have the kids within eye-shot and not have to follow them around. We had a look around the shop after we’d eaten some ice-creams and Isla had watched the children’s entertainer for the second time (!) and they both came away with something – Noah chose a die-cast ‘Hank’ and Isla a cuddly rabbit (yes I know not really very train themed!) and I also purchased a Thomas book that I got Christopher Awdry to sign – he is the son of the Rev W Awdry, the creator of Thomas the Tank Engine and the reason for the stories coming about as they were told to him by his father when he was ill as a boy. Our ticket was £44 for a family of 4 and I think that was such good value for everything that was included in the ticket price. I loved that the event didn’t seem oversubscribed, they hadn’t crammed in too many people and so there weren’t queues for the other attractions. There was a lovely family feel to the day and we enjoyed every minute! What a fantastic day out! Love your pictures. Your children are really cute. They made me remind the child hood of my children. They were so naught. They used to have a lot of fun on bouncy castles. We used to hire birthday games for their birthday. That was an amazing time. 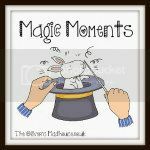 There's always a bit of magic for the kids in Kent!